To win the green jacket is the pinnacle of any Professional golfer’s career, which is why so many see the Masters as the highlight of the golfing calendar. Previously we have seen the greats win the Tournament such as Jack Nicklaus, Tiger Woods, Phil Mickleson, Nick Faldo and obviously Seve. The 2016 Masters was won by a complete rookie in Danny Willett, which shocked the world, but not me! I predicted Willett would win in my blog prior to last years tournament and I know some of you are still living off the proceeds of his win. The problem is with the first Golf Major being so early in the year, is that it makes it difficult to make any predictions from stats or form (as there aren’t many), as most players have only played a couple of events in 2017. So my tips have been plucked from the depths of my golfing expertise and if I’m honest they are picks from my heart rather than my head! Being a lefty, this golf course was made for the American. He always seems to pop up early on the leaderboard and hasn’t won this Major since 2010. He was runner up two years ago when Speith won and is the most experienced player in the field with a decent chance of winning. I’m very confident with this, but still worth going each way to cover bases 2,3,4,5! This statistic is no fluke. 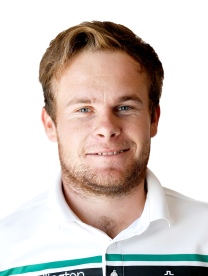 Hatton has now played in 4 events in the US this year and has finished in the top 10, 3 of those times, with a cumulative score of -29. With a fellow Englishman defying the odds in last years contest, this year could also be the year for the Rookie. This cocky character will not be overawed by the sheer magnitude of the occasion. Top 10 looks like a safer option, with no experience yet at Augusta. If you’re like me, you’re going to have to take out that extra sports package on Sky for the week and then properly stock up on snacks to get you through to the late nights! Whatever your plans, enjoy the watch.